Curacao is a real classic of a design from Waxx. There is nothing like a design that has a dose of the natural world in it, and there's no place in the world with nature as impressive as the island of Curacao. The Caribbean theme gives it a classic look that's easy going and always in style. 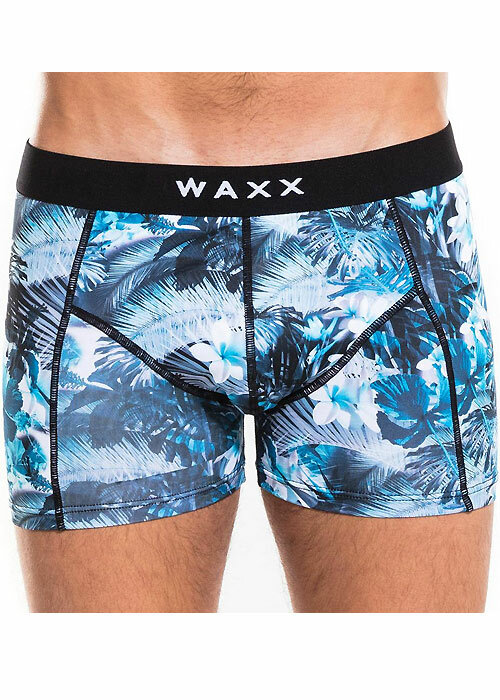 The fabric used by Waxx is stretchy, comfortable, and the colours never fade. It also has a cotton lining in the front for those who don't like the feel of nylon.